As a HubSpot Certified Partner, we’re able to align our business growth services with a technology platform that gives you proof of your investment in your website, sales, and marketing activity. We like to think of our account management process as ‘red carpet’. It’s a well structured and smooth process to make a seamless transition to start working together. Our approach is all about planting the right seeds so we build successful and long-term partnerships. Why? If you don’t know where you’re going, how will you know how to get there? As a HubSpot Certified Partner, and specialist Business Growth Agency, we work with you to develop a strategy that aligns your sales and marketing activity to a single revenue goal. Why? Measure your results from all sales and marketing activity with tools that make it easier to sell and market your products and services. Your website should be easy to update without the need for a developer. A central place for all activity so you know how to improve, and, so you can automate parts of the process to work efficiently. Why? Accelerate the sales process by better meeting the needs of your Ideal customers. As a HubSpot Certified Partner, we see this step as one of the most critical. You can waste a lot of time guessing so why not take the time to understand who your Ideal customers and usually they’ll tell you how they want to be sold to. Why? 72% of businesses are more likely to buy from thought leaders, people or businesses that are recognised as an expert in their marketplace. Compete only on price and business is risky, but compete on specialism and you’ll be able to build a long-term business. Why? The more qualified a lead is, the more likely they’ll help you achieve your revenue goals. Your team need a shared understanding of your ideal lead so that marketing can generate leads that your sales team can close into customers. 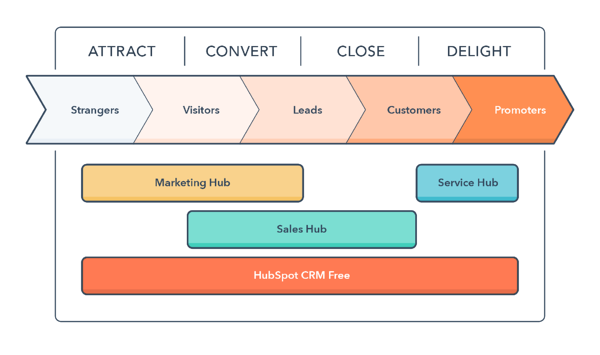 As a HubSpot Certified Partner, we use a lead qualification matrix to help your team to be productive and effective. Why? 72% of businesses are more likely to buy from an expert. Content helps people solve problems. The more education you provide your prospects before they contact you, the more qualified they’ll be. If your marketing team hasn’t been focusing on driving people toward purchasing your products or services, it’s time for them to rethink their priorities. And, if your sales team isn't using content, they're not differentiating your company. We’re actively working a contacts list of 10k+ decision makers in Automotive and selling to decision makers in engineering, purchasing, and managing director roles within vehicle manufacturers, special vehicle operations, Formula 1, performance tuning companies, and competition parts distributors and dealers. This isn’t about a sheet of numbers. You’ll get graphics and visuals that focus on website visits, leads, and customers. Typically, we’ll pick an important win and walk you through the story of how it happened to visualise how our approach is helping to achieve your goals. HubSpot CRM and HubSpot Sales customers get the best start with the Quick Start Package; two one-hour calls over 14 days with a variety of services (listed below), depending on your needs. 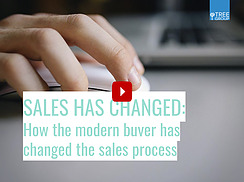 The right technology will give you the foundations for business growth across sales, marketing, and your website. And, you’ll be able to track ROI and have a central platform for your sales and marketing activity. And, you can get started with all of this free of charge! Our implementation service gets you setup quickly with HubSpot CRM, HubSpot Marketing Free, and HubSpot Sales Starter or HubSpot Sales Professional. A one-off package that gets you started on your Inbound journey. Your launch plan will cover four important areas to give you the foundations for business growth: (1) Develop a sales and marketing strategy, (2) Ideal customer research, (3) Content themes and marketing campaign ideas, (4) Create your hero and positioning statements. You might need our full Business Growth approach or just certain parts of it. Until we get to know you, we can't say what's right. It all depends on the vision you have for you company, your revenue goals, and the your products and services. Small, large, and/or niche. after a short consultation we'll know if there seems to be a fit and can start to put some recommendations in place, which might be to progress to an Exploratory meeting or a Goal Setting and Planning session to translate your goals into sales and marketing activity. Want to check us out? Are we experts at selling in Automotive?? Are we already getting sales results for Automotive companies like yours?? ?